Still, everything is wet from the morning dew, but I pack up, drive off and am happy about almost completely empty streets. From St. Paul de Ubaye up to Col de Vars (1860 m.a.s.l.). On the other side of the pass is the ski resort Vars. At the moment it is “hors season” and everything is closed – quite sad! 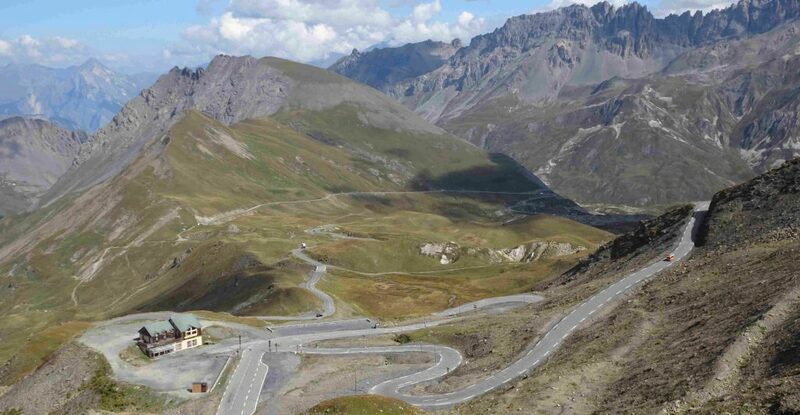 So I drive further into the valley to Guillestre and then I take the road to the Col d’Izoard. This leads me through a gorge, the Combe du Queyras. The narrow road goes downhill, past shady rocks, followed by a wild stream. Soon the valley opens and I reach Arvieux. Here I finally find a bakery and have my breakfast break with coffee on the sunny terrace. After the snack, I continue to the next ascent, which leads me after some serpentines through a big scree and some rock towers, the Casse Déserte. Shortly thereafter follows the pass summit (2360 m.a.s.l.). 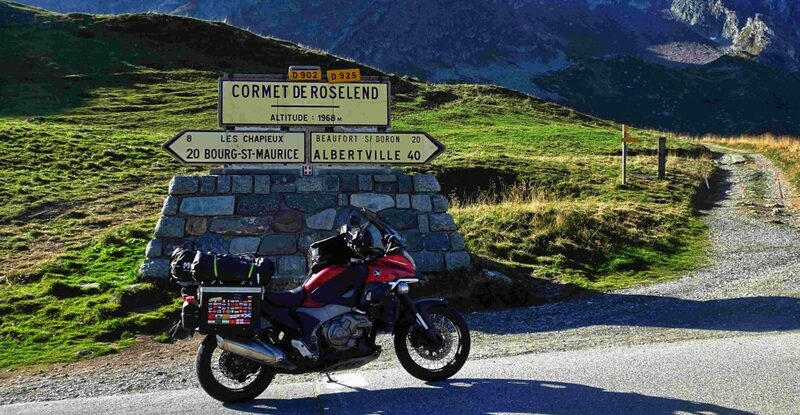 For me, it is one of the most impressive passages on the Route des Grandes Alpes. 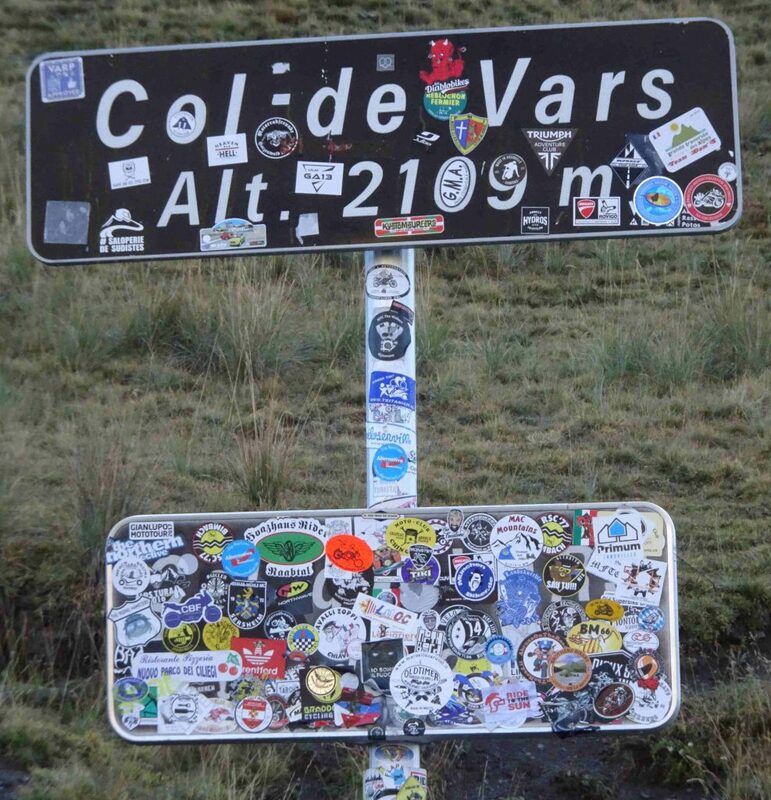 I drive on through Briancon and the next highlights follow: I reach the Col du Lautaret (2057 m.a.s.l.) on a long, even ramp without many curves and to the summit of the Col du Galibier (2645 m.a.s.l.) there is another winding pass road. 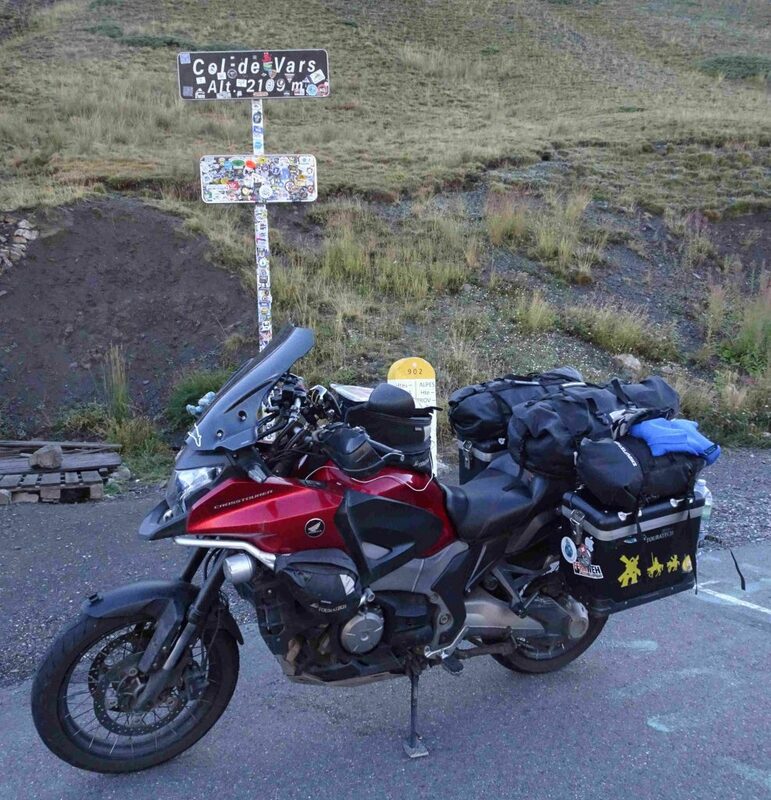 Here the “Motards” from all over the world gather together with the cyclists who follow the tracks of the Grand Boucle. Before I reach St. Michel-de-Maurienne, I pass Valloire and the Col de Télégraphe. The south side of the saddle has hardly any ascent, but the north side offers again some nice curves and the view to the region Maurienne. I follow the course of the “Arc” to St. Jean de Maurienne and then turn left to the Col de la Croix de Fèr. The road is under construction, I have to turn around and am led through the signal boards to the ski resort Albiez-le-Jeune. A great bypass that leads me over narrow roads through a wonderful landscape. In St. Jean d’Arves I reach the pass road again and after some hairpin bends, I am on the Col de la Croix de Fèr. The surrounding mountains are an impressive scenery for the further drive. Barely two kilometres further on is the turn-off to the Col du Glandon. Then the road descends into the valley again. First across open alpine pastures, then through the forest. In the valley I cross the “Arc” again and soon the route Departementale D213 climbs again in the direction of the Col de la Madelaine (1997 m.a.s.l.). From here I see for the first time up to Mont Blanc. It became late and I drive to the next camping site in the valley. On the valley bottom I only have to drive a short distance until I can pitch my tent at Moûtiers. I’m driving through the Tarentaise and my destination is Bourg St. Maurice. I have to refuel, need a cup of coffee and therefore look for a gas station and bakery. The Boulangerie artisanale is a fantastic restaurant. In the shop, there is an old wood oven and the wooden racks are full of different loaves of bread, pastries and “Viennoiserien. I sit down in the shop for a coffee and some pastries and relax. After the small breakfast I continue to the next pass road. In a wide valley the view opens up to the “Aiguille des Glaciers”, a snow and ice-covered almost four-thousand-metre peak. Once I reach the top, I see that the grocer, whom I already know from my last tours, is waiting for me again with French specialities. His assortment consists of sausage, bacon, ham and cheese. Also this time I buy some small things for my further trip from him. Then it goes over a wide alp in the direction of the valley to the Lac de Roselend and finally to Beaufort. 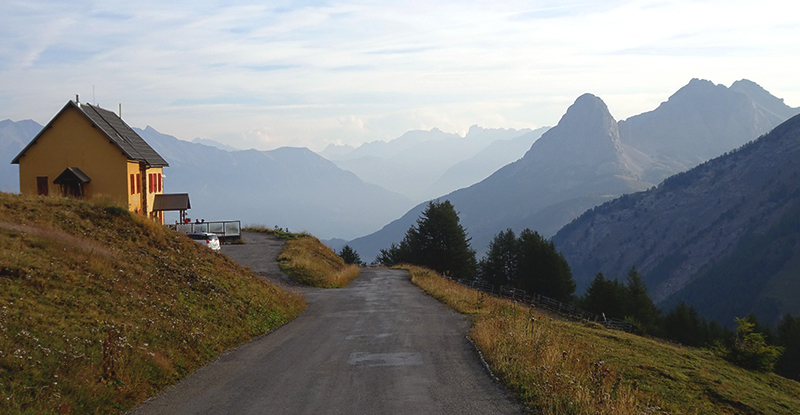 My route through the Grandes Alpes leads me next to the Col des Aravis (1487 m.a.s.l.). From the road I have a wonderful view to the Mont Blanc and its neighbours. As already in the past days the weather is nice and clear. The morning breeze quickly gives way to a pleasant warmth. I want to cross the Col de Joux Plane, so I drive past Cluses and Morillon to Samoëns. Then I follow the D154, which takes me up through forests and hamlets. At the top of the pass I notice that the passage to Morzine is closed and I have to take a detour. The landscape up here is open and my panoramic view stretches far over the mountains and into the valley. After this detour, I head south and soon reach Morzine and the heights above Lake Geneva. On the descent to its shores, I always get a view over the lake to the vineyards of Lavaux, Montreux and Vevey. Soon I find the last campsite of the tour. I quickly set up the tent, air the sleeping bag and make myself comfortable. 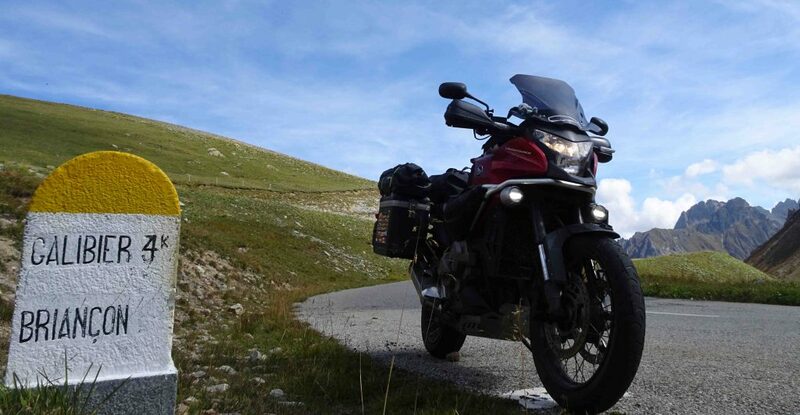 The next day I return home, but right now I enjoy the last evening of my five-day tour through the Alps in France. A recommendation for everyone! For breakfast I recommend to visit one of the numerous bakeries “Boulanger artisanale“, besides fresh bread, there are various biscuits, sandwiches and coffee. Often they have either little tables or a bar for the rest. For lunch and dinner many restaurants offer 2 or 3-course menus. These cost approx. 15 – 20 €. So-called “Formules”. Staying overnight in France’s hotels is expensive, especially for individual travellers. Simple mountain accommodations at the passes are slightly cheaper. In many places along the route there are cheap campsites during the season. They are often equipped with WLAN and simple restaurants. I was lucky, despite the late season (September) it was nice and warm during the day. The view into the mountains was fantastic and clear. The evening thunderstorms didn’t bother me. But since the passes are up to 3000 meters above sea level, there can be snowfalls or heavy mountain thunderstorms. Therefore, one to two days of buffer is advisable for planning this trip.